Published on January 30, 2013 in General. 0 Comments Tags: clemenine, cutie pie, dessert, low sugar. 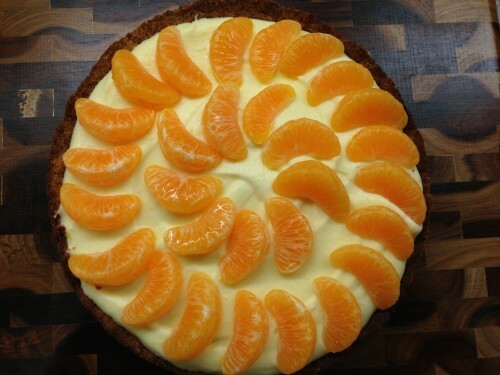 All this fuss over a simple Cutie Pie? Well, sometimes dessert is a BIG DEAL, even if it is not ornate. I am always striving for ways to make a low sugar dessert for my mom. She claims not to have much of a sweet tooth, but since being diagnosed with diabetes she has her moments where she would love to sink her teeth into dessert. I love to see the look on her face when I show up with something sweet that she can eat. 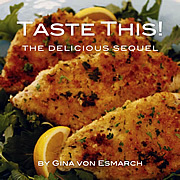 While her dietary restrictions limited her to the one slice, she was quick to secure a second piece for a future day. 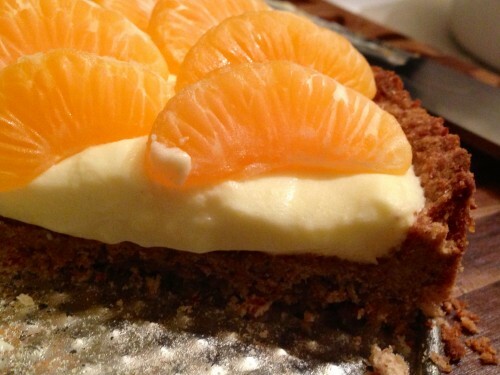 I made sure to gobble up a very generous slice and wish I had another one to enjoy right now! 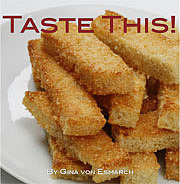 To cook crust, preheat oven to 400. Bake approximately 18-20 minutes until dough is golden brown and appears slightly puffy. 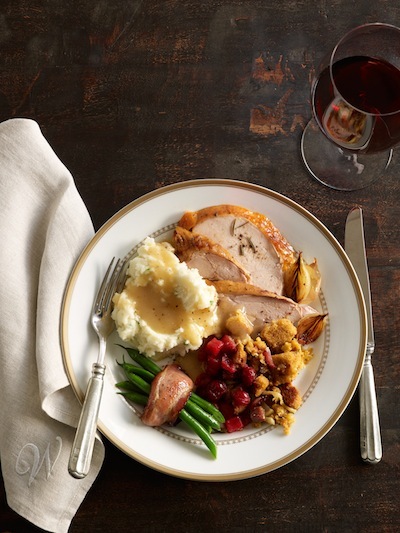 Set aside, allow crust to cool. Place 2 tsps of water in a small cup and sprinkle gelatin evenly over it. Allow gelatin to soften 10 minutes. 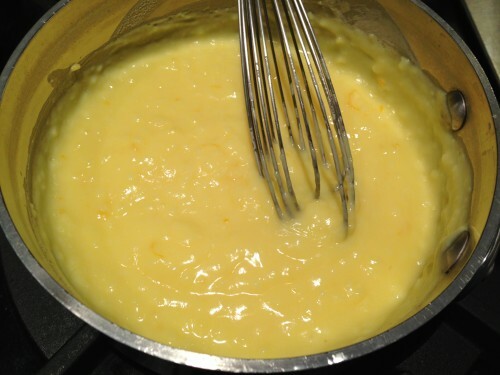 In a medium bowl, whisk yolks, sugar, cornstarch and orange zest until blended. In a medium pot, over medium high heat, bring milk to a boil. 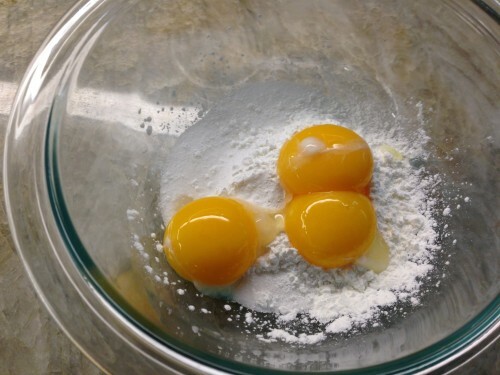 Slowly mix hot milk into yolk mixture, stirring continuously as to not risk cooking the eggs. Transfer yolk and milk mixture back to the same pot. 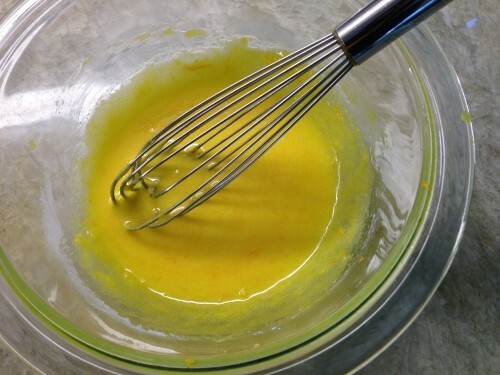 Over medium heat whisk yolk mixture until custard thickens and boils, approximately 2 minutes. 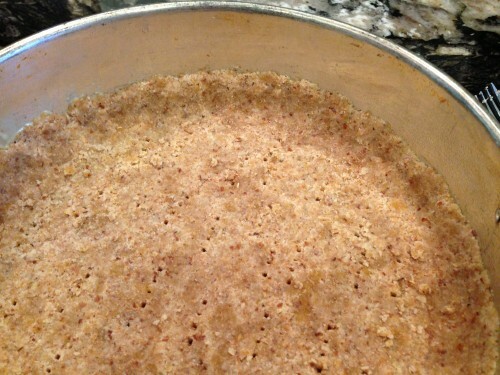 Remove from heat and add gelatin to mixture. Whisk until dissolved and custard is smooth. 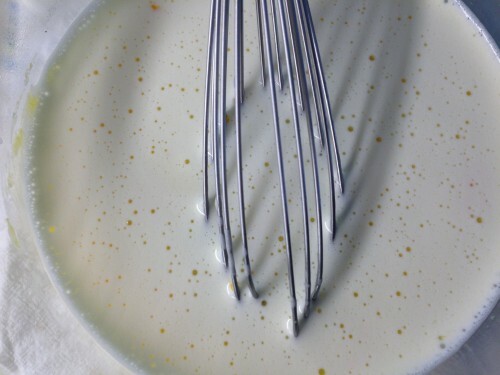 Transfer custard into another bowl. Allow to cool to room temperature, approximately 30 minutes, stirring occasionally. Custard will become thick. In a medium bowl, beat cream until peaks form. 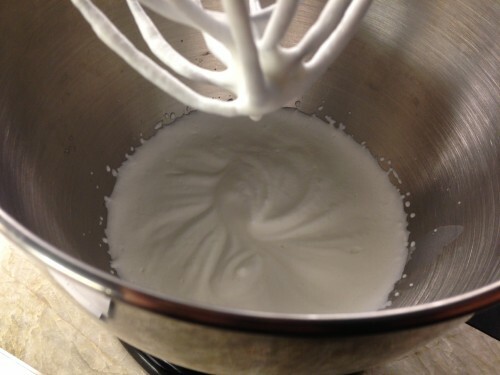 Whisk custard until smooth. 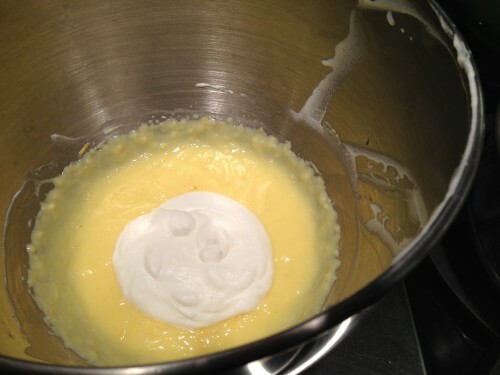 Fold whipped cream into custard in three additions. Transfer filling into the cooked crust. Chill until filling sets, a minimum of 3 hours and maximum of 8 hours. Peel clementines, remove pith. Place in a small bowl and cover with a damp paper towel so that segments do not dry out. 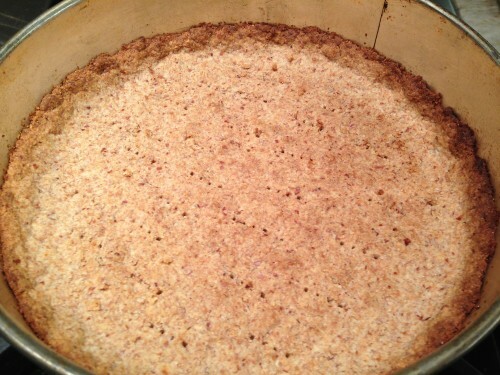 Place spring form pan over a large glass and push down the sides of the pan to release the tart. 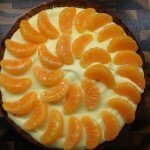 Decorate pie with clementine wedges. 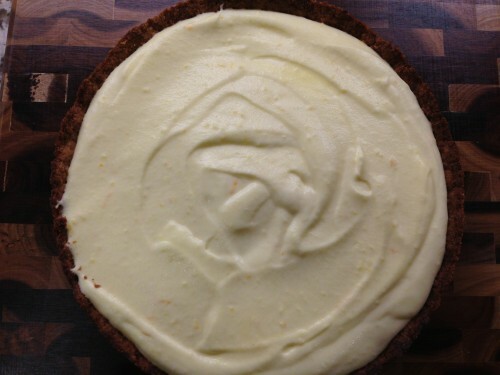 Cut the tart into wedges and drizzle with honey.